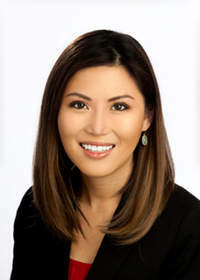 REDWOOD CITY, CA--(Marketwired - Mar 30, 2016) - Fish & Richardson announced that Betty Chen, a principal in the firm's Silicon Valley and Austin offices, has been selected for the 2016 Fellows program of the Leadership Council on Legal Diversity (LCLD). The selective LCLD Fellows program is designed to increase diversity at the leadership levels of the nation's law firms and corporate legal departments. The LCLD's Fellows program is a highly structured program that maintains a goal of producing a generation of attorneys with strong leadership skills who are committed to fostering diversity within their individual institutions and the profession at large. Each class of Fellows also serves as mentors to those who follow. To date, three other Fish & Richardson attorneys have participated in the program since it began in 2011. Previous LCLD Fellows from Fish include Cherylyn Esoy Mizzo (Washington D.C., 2015 class), Wasif Qureshi (Houston, 2014 class), and Todd Garcia (Boston, 2013 class). "We have a long-standing commitment to diversity and are very proud to have Betty participate as an LCLD Fellow," said Ahmed J. Davis, a patent litigator at Fish who is also the firm's Diversity Chair. "She is a leader at Fish and we are thrilled that she was selected for this opportunity to connect with other leaders across the country who are also committed to fostering diversity." At Fish, Chen has an extensive practice that spans all areas of intellectual property litigation and complex commercial litigation. She has substantial trial experience in patent litigation involving a myriad of technologies, particularly in the fields of computer software, computer hardware, medical devices, and consumer products. Chen has also successfully represented clients in trademark, copyright, licensing, trade secrets, contracts, and employment disputes. Beyond Chen's litigation work, she also serves as Fish's Global Hiring Principal and is a co-leader of the office's Women's Initiative. She received her J.D. from the University of Texas Law School in 2006 and her B.S. in business from the University of Southern California in 2003. Chen was a law clerk to the Honorable Ron Clark, United States District Court for the Eastern District of Texas and a judicial intern for the Honorable William Wayne Justice, United States District Court for the Western District of Texas. Fish & Richardson is a global patent, intellectual property (IP) litigation, and commercial litigation law firm with more than 400 attorneys and technology specialists across the U.S. and Europe. Fish has been named the #1 patent litigation firm in the U.S. for 12 consecutive years and is one of the busiest post-grant firms, representing more petitioners at the PTAB than any other firm. Fish has been winning cases worth billions in controversy -- often by making new law -- for the most innovative clients and influential industry leaders since 1878. For more information, visit www.fr.com. Betty Chen, a principal in Fish & Richardson’s Silicon Valley and Austin offices, has been selected for the 2016 Fellows program of the Leadership Council on Legal Diversity (LCLD). The selective LCLD Fellows program is designed to increase diversity at the leadership levels of the nation’s law firms and corporate legal departments.